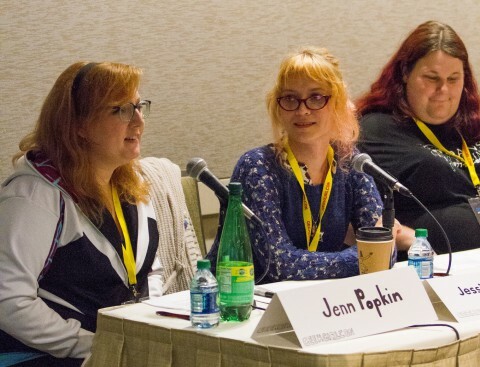 The panel consisted of six women working in various areas of science and technology. Erika Harnett has a Ph.D. in physics, and works in computer simulations. Erika Wagner wrote a Ph.D. how to keep humans healthy on the way to Mars, but she also added that “but now I sell rockets”. Beth Linz is a graduate of Central Washington University with a background in computer science, and now works as software engineer. Jamie Waldock holds a MA in aerospace engineering, and is a test engineer at Aerojet Rocketdyne (working on propulsion). Irina Menn is the founder and CEO of Hopela, a mobile app to connect local orgs and millennials for donation; she holds degrees in science and computer science. Finally, Christine Washburn is a professor of physics from Everett Community College. 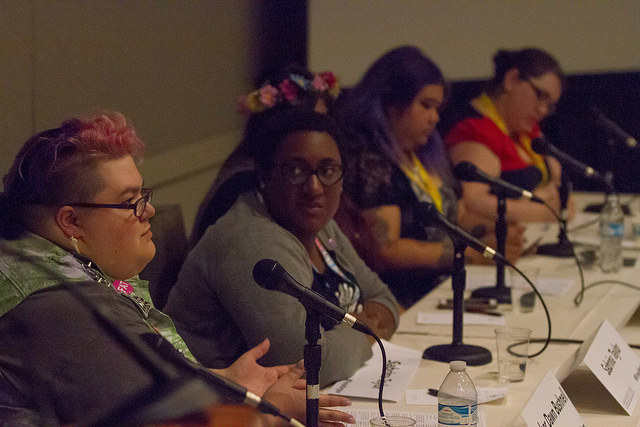 The first panel you attend at a convention can easily set the tone for the whole time, so I was thrilled that this last year at GeekGirlCon ’15 I was lucky enough to have my schedule set up so that my first panel was “We’re Not NPCs: It’s a (Straight, White, Cisgendered) Man’s World.” This panel has gone through lots of iterations at several different conventions; I’m pretty sure I’ve attended panels of the same name at different PAXs as well as previous GeekGirlCons. Each year, though, as the media circus continues but doesn’t quite evolve, it’s always a great way not only to see where things can improve but also to get some great recommendations. Our panelists this year were Les Banks, Godfrey Harris, Mia Gipson, RaeRae Sachs, and Bijhan Valibeigi, all of whom had great things to add to the conversation. 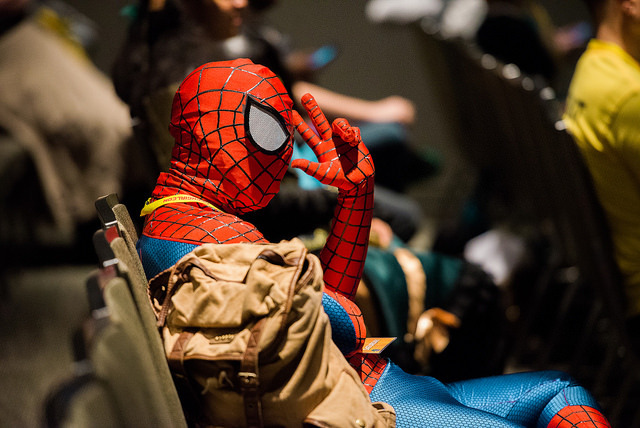 There are not a lot of overweight characters in the games, shows, movies, comics and other things we love—and when there is, those portrayals are almost always founded on negative, embarrassing tropes. So what can we do it about it, and why is it important? What were you doing when you were twelve? 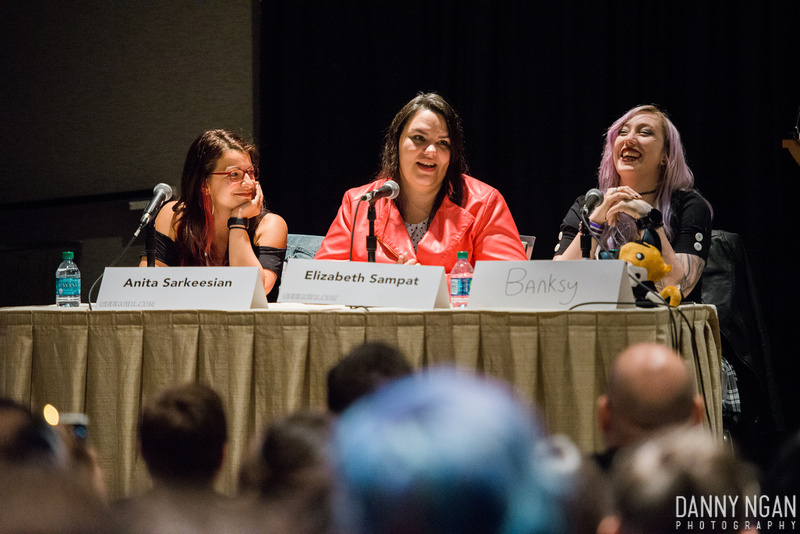 For many of us, we might have been pursuing our geeky interests, but the speakers at the Next Gen Geek Girls panel made me (and several other people in the audience) feel completely inadequate! 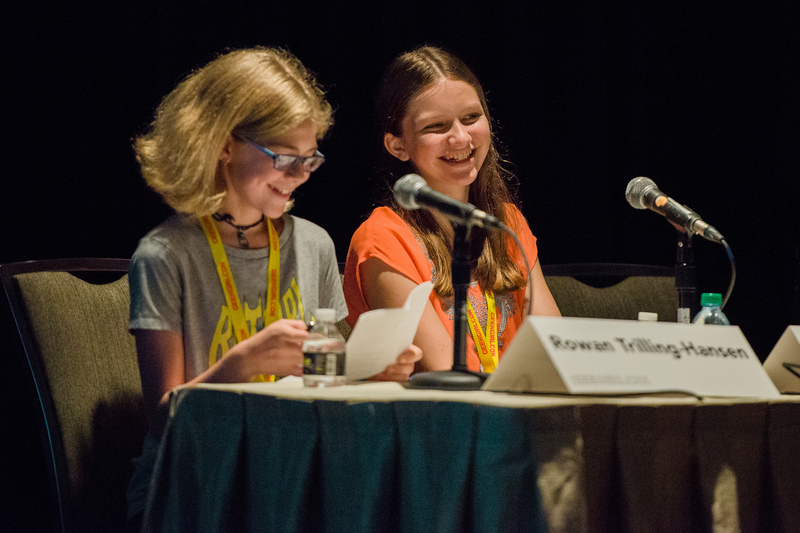 Introduced by Whitney Winn, the Next Gen Geek Girls at the panel were two twelve-year-olds, Maddie Messer and Rowan Trilling-Hansen. 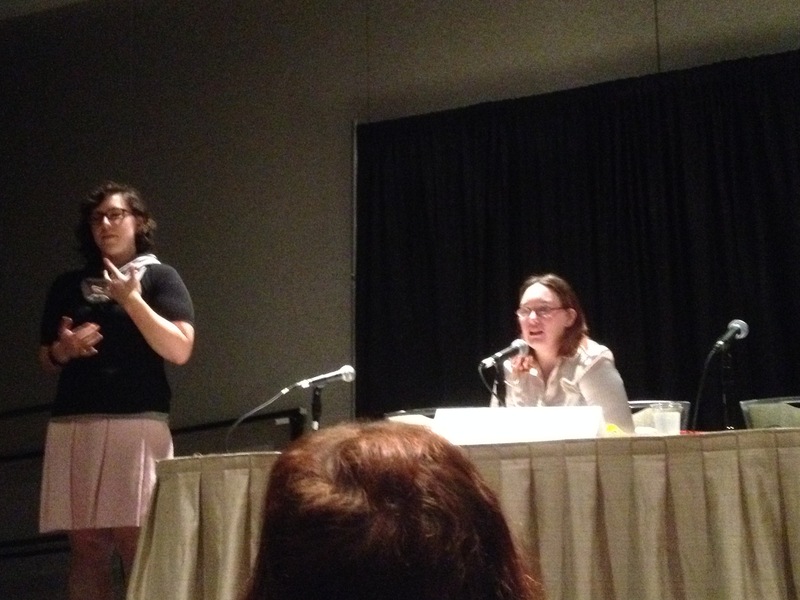 Both of them had deep-seated, wonderfully geeky interests: Rowan loves comics and Maddie –who I had the pleasure of interviewing for the GeekGirlCon blog last year—plays games on her phone.